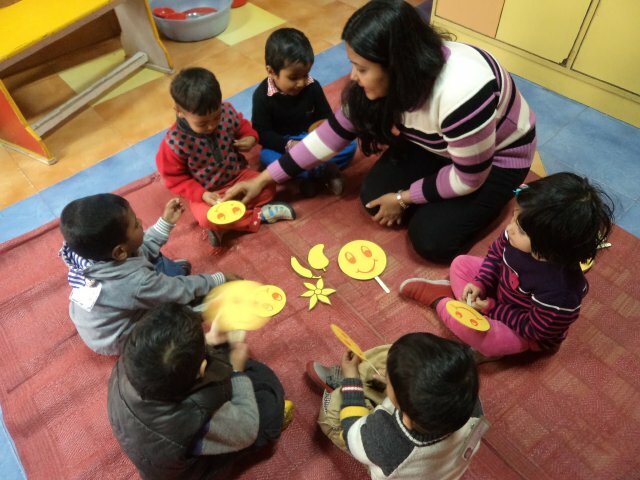 Children love to learn through playing and games and with this approach teachers introduced the colour yellow to our playgroup Prideen’s. 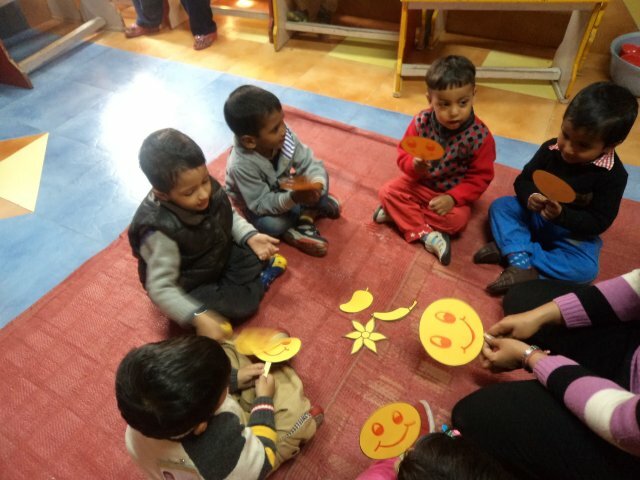 To match, identify and name yellow colour, teacher distributed a smiley cut-out to each child and asked them to see how it looks. 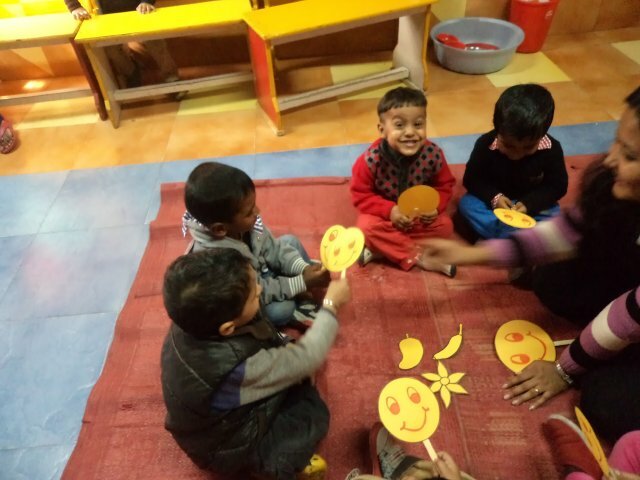 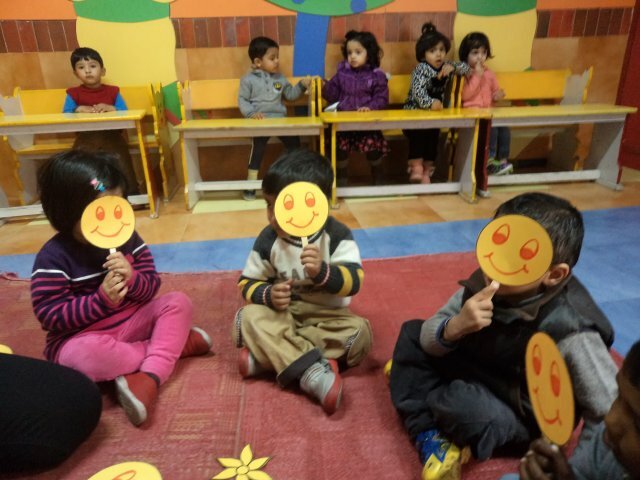 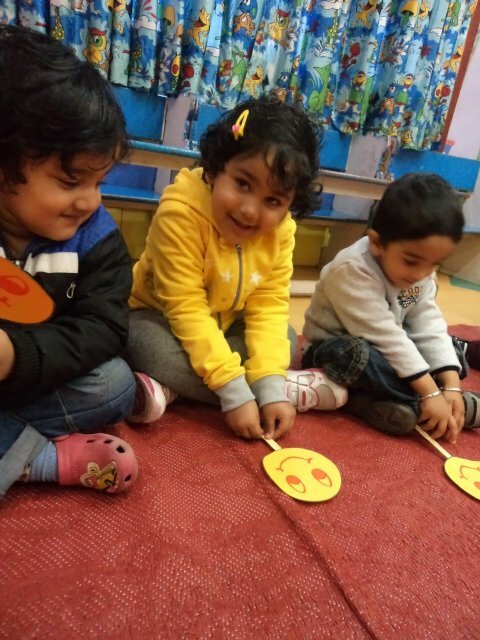 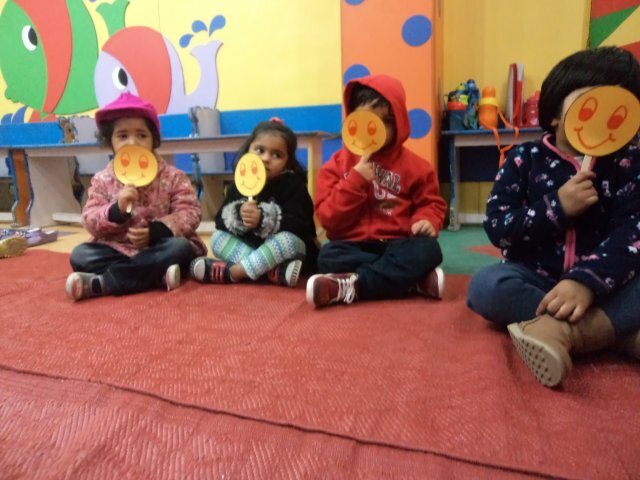 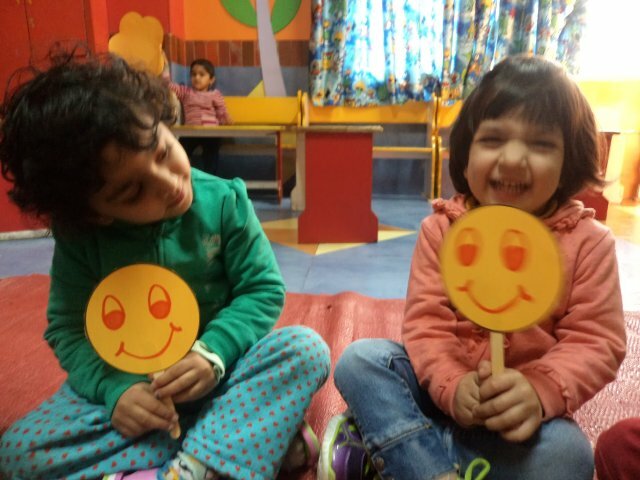 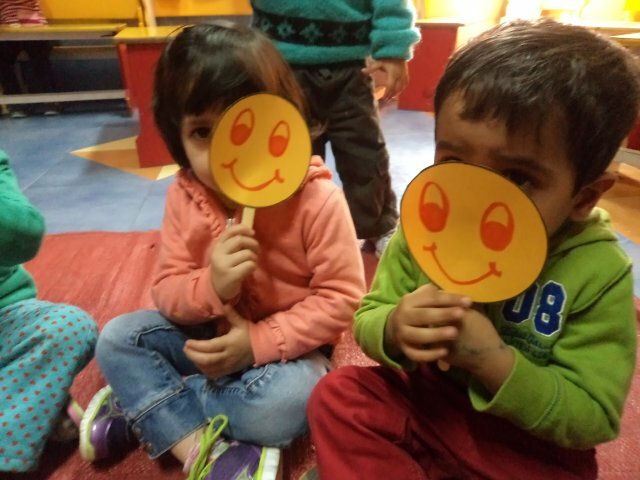 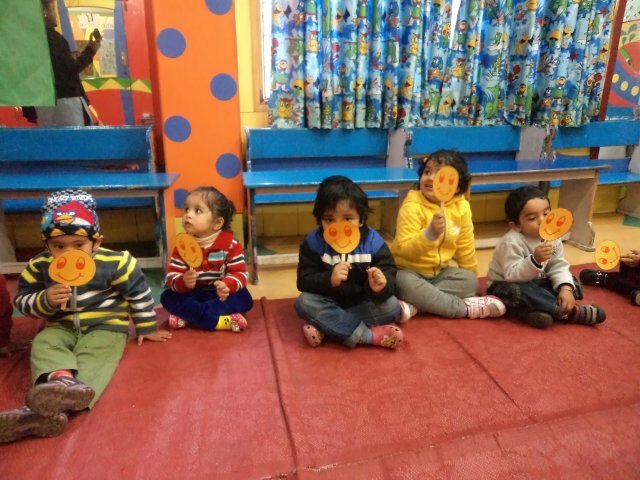 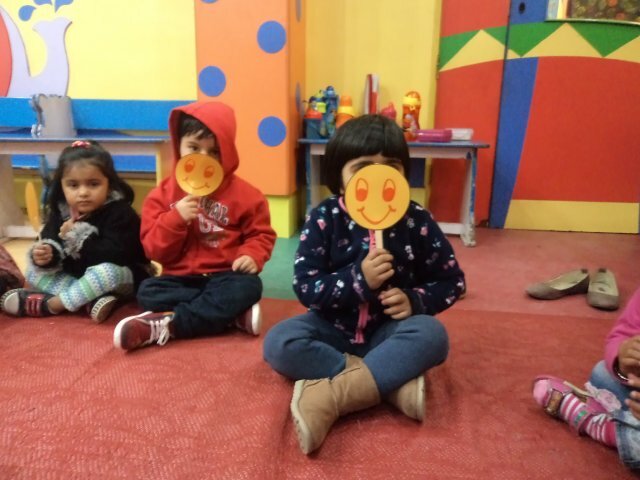 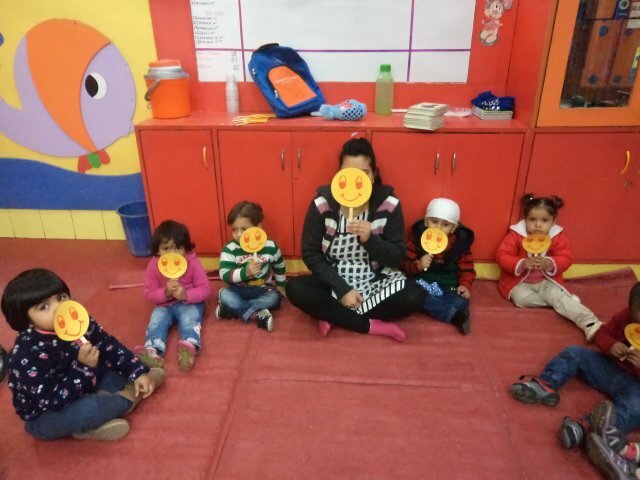 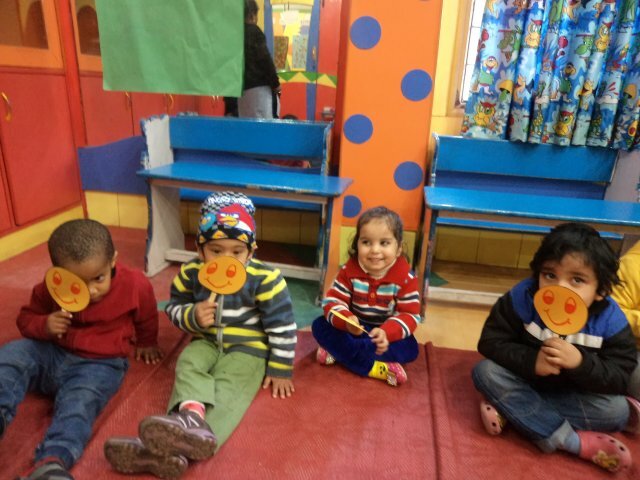 To make the session interactive, children were asked to hide their faces with the cut out and look around .They were asked probing questions like if the colour of all the smiles around them is the same? 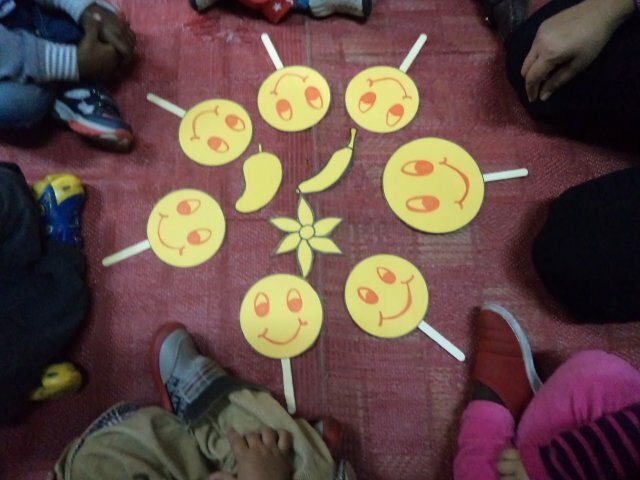 They were then shown some cut out of yellow coloured objects like banana / mango/ sunflower etc. 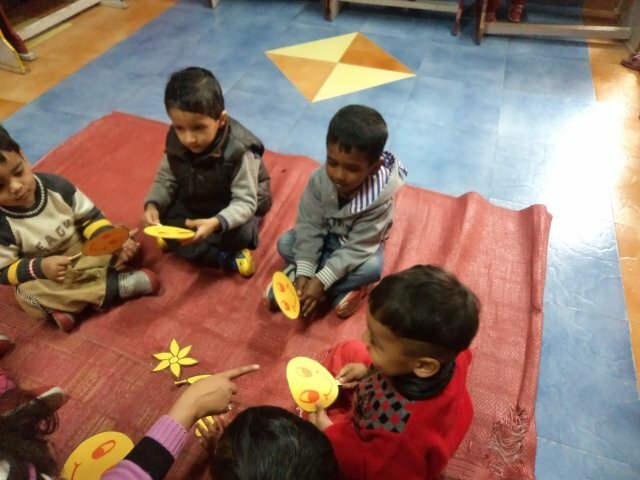 Children observed if the colour is same across all objects. 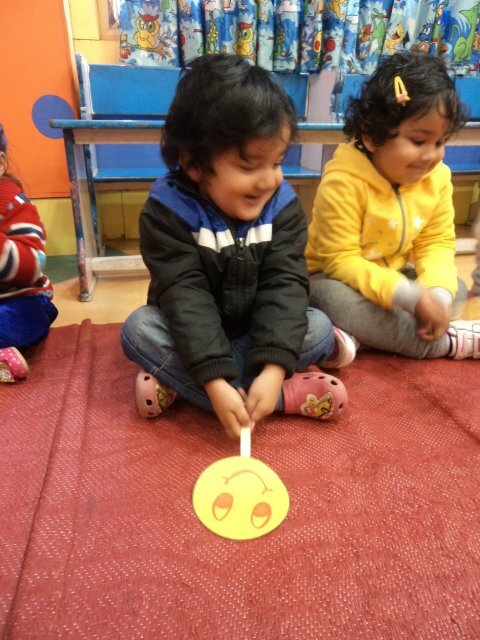 They were then familiarized that the colour across all objects and smiley is Yellow. 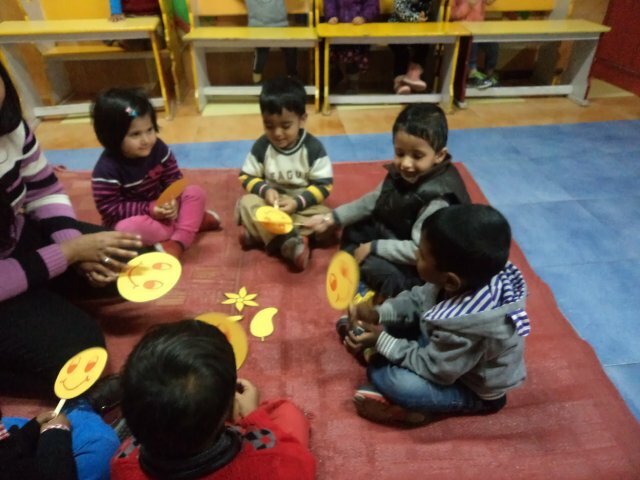 It was a fun filled and interactive activity for the children.